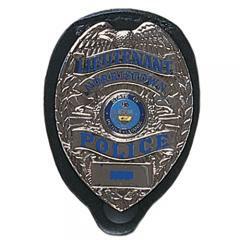 Oval holder includes snap for easy badge insertion. Genuine leather badge holder. What size badge is this model made for? Maximum badge size 2.5" x 2.5".